Scenic Sky is pleased to announce the purchase of Torbio's Accoyo Masterpiece! Masterpiece is a beautiful Multi-CHAMPION Full Accoyo Fawn male, who fits into our successful breeding profile here at Scenic Sky. He has a beautiful Head! He is sired by Accoyo Torbio, one of the most legendary Champion producing sires ever to come off of Don Julio Barreda's Accoyo Estancia. We are so excited to have this boy take over in his fathers footsteps! Charity has a beautiful light fawn fleece that is uniform in color, with a high luster rick-rack architecture. It is a heavy fleece with an oily feel to it, and it just glistens and shines. Her fiber is fine across her body, and the lock structure is uniform. Charity continues to shear 3.5-4.0 lb blankets each and every year, even when pregnant. SPECIAL - Be the FIRST with your female to get a positive pregnancy confirmation with Van Gogh, and get your board and ultrasound confirmation for free! Van Gogh is a beautiful 3rd generation fawn full Accoyo male with well-known foundation bloodlines of Maurizio (Bruxo son), Torbio, and Baccarat. He is well proportioned and exhibits the true desired suri phenotype, with coverage down to the toes, independent locking, and beautiful luster. Van Gogh shears about 7 lbs of beautiful fine fiber each year. He has a nice disposition and is easy to handle. His dam is WRSR Accoyo Charity, a light fawn full Accoyo with Baccarat and Maurizio bloodlines. 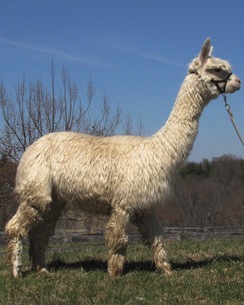 Charity has a beautiful light fawn fleece that is uniform in color, with a high luster rick-rack architecture. It is a heavy fleece with an oily feel to it, and it just glistens and shines. Her fiber is fine across her body, and the lock structure is uniform. Charity continues to shear 3.5-4.0 lb blankets each and every year, even when pregnant. Charity's show winnings are impressive! 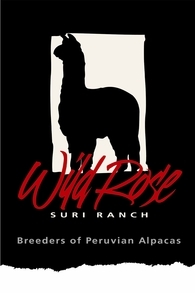 She produces very high quality fiber and so do her crias. 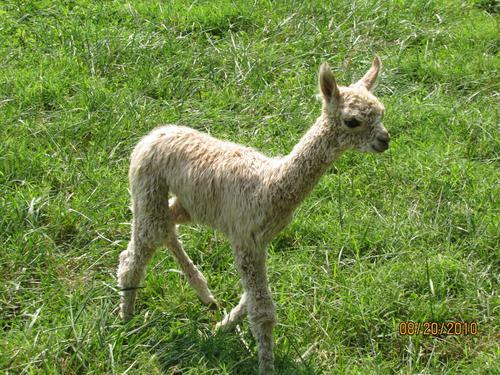 Her first cria is the beige WRSR Accoyo Omega by Luna's Accoyo Bruno, brother to Accoyo Rockstar. Omega won Reserve Champion Light Suris at the 2009 MABA Alpaca Celebration, and 4th (11 in class) at the 2009 AOBA National Show in Cleveland, OH as a juvenile. 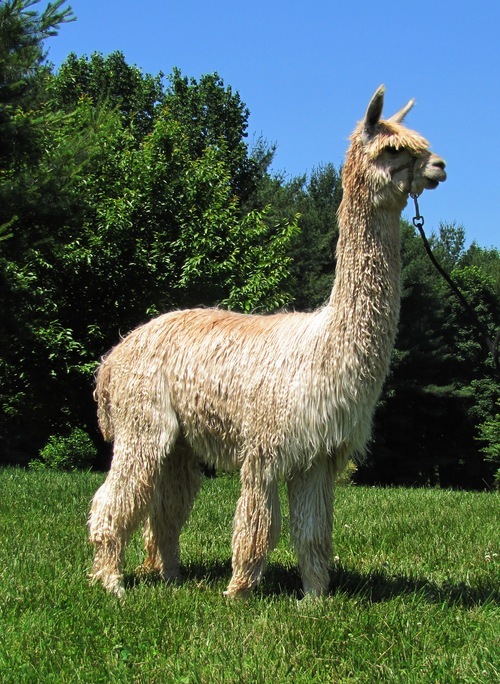 Van Gogh's sire is Accoyo Torbio's Masterpiece, a beautiful Multi-CHAMPION Full Accoyo Fawn male, owned by Scenic Sky Alpacas. He has a beautiful Head! He is sired by Accoyo Torbio, one of the most legendary Champion producing sires ever to come off of Don Julio Barreda's Accoyo Estancia. 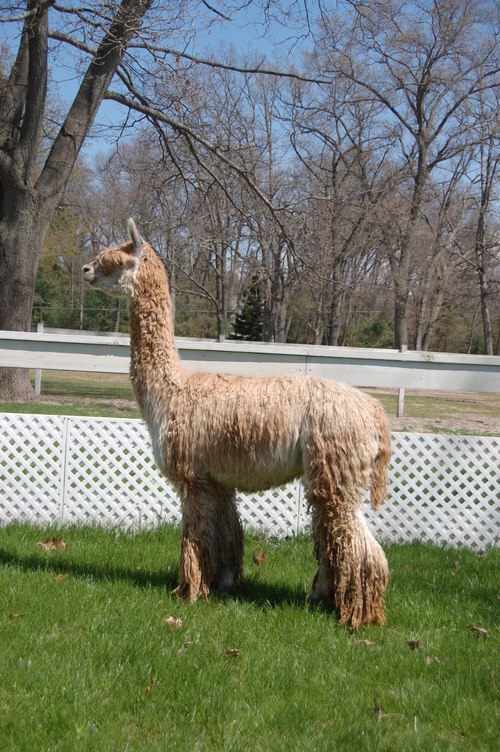 He is a medium fawn color and has absolutely beautiful fleece. His luster shimmers and he has tight locks with that greasy feel right up to the skin. He has a gorgeous typey head and locks penciled up to the skin. His fleece is very dense. 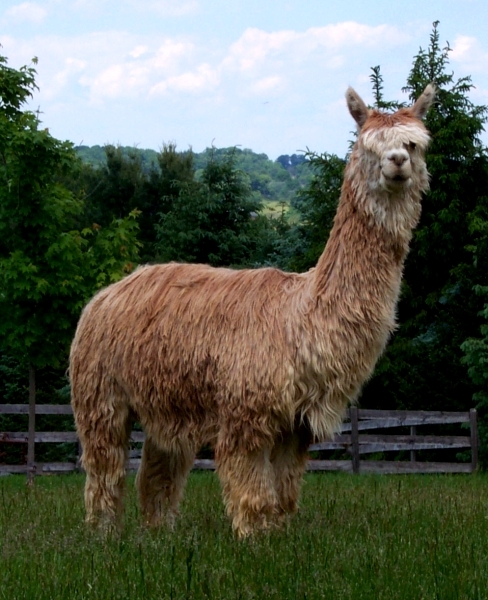 Fleece samples are available by request, and his 2015 fleece will be available for inspection to prospective buyers. His 2011 histogram yielded an AFD of 22.5, SD 4.4, CV 19.5. Great uniformity! Van Gogh is a beautiful male, but we are not keeping him for our breeding program as he is heavily related to most of my Accoyo females and males with the Maurizio and Baccarat bloodlines. 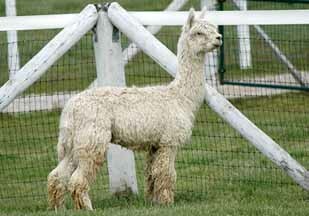 This is a very nice male with great fleece characteristics and would make a great herd sire for the right farm. If you are interested in purchasing a breeding, his introductory fee for 2015 is only $1000 ($750 drive-by breeding) and includes a complimentary ultrasound at the farm. Note: Breedings purchased in OpenHerd auctions are "Drive-by" prices and do not include board or an ultrasound. Board may be purchased at $4.00 per day, and an ultrasound for $40. If your female is the first one to prove Van Gogh, then your board and ultrasound are free! Get some great density and luster genetics with a breeding or purchase of this new male.